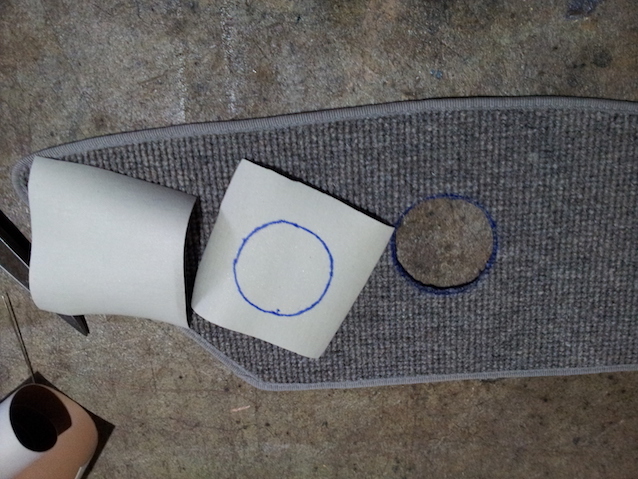 Check out this awesome guide on how to bind an isolated hole in automotive carpet, submitted by Brent Parker of Brent Parker Motor Trimming in Glenorie, Australia. 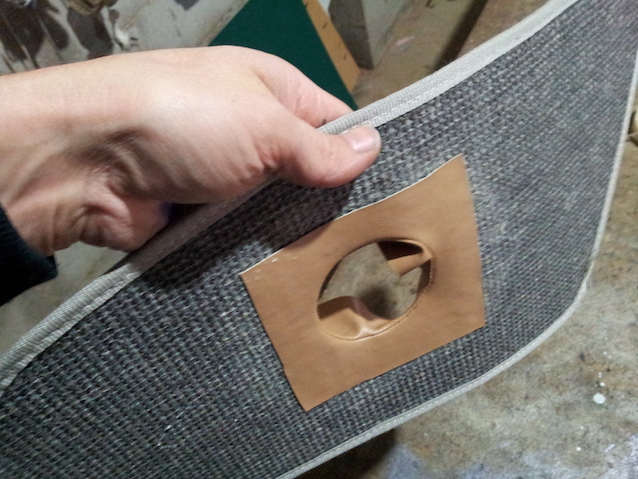 This how-to guide was originally published in our Auto Upholstery Forum. 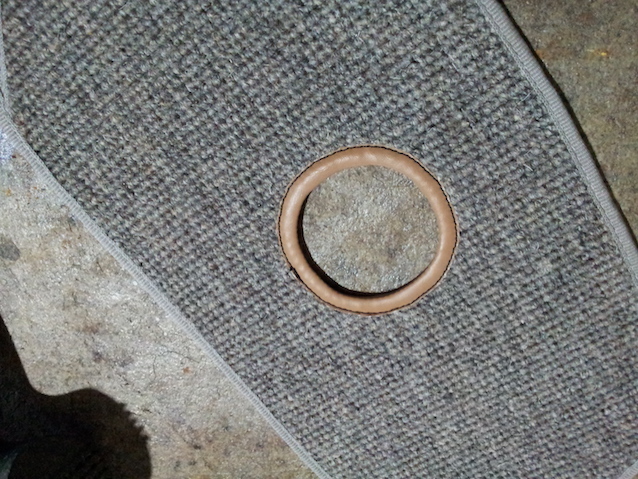 I’m going to run through a step-by-step guide on how to bind an isolated hole in carpet. 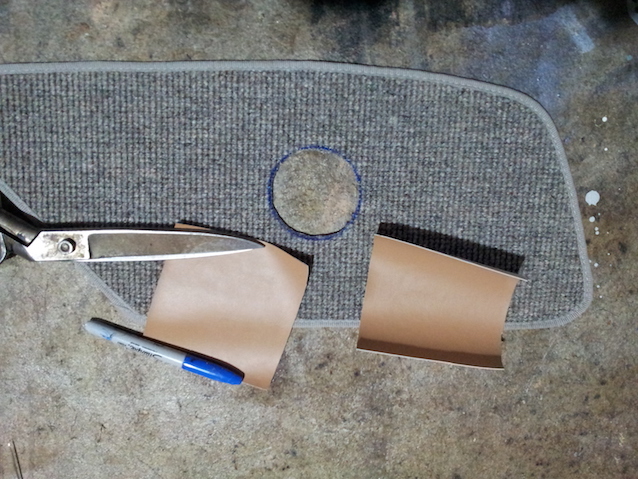 Sometimes it’s nice to not have to put a cut in from the edge of the carpet to bind the hole. I’m sure a lot of you know how this technique is done, but for the guys who don’t stay tuned. 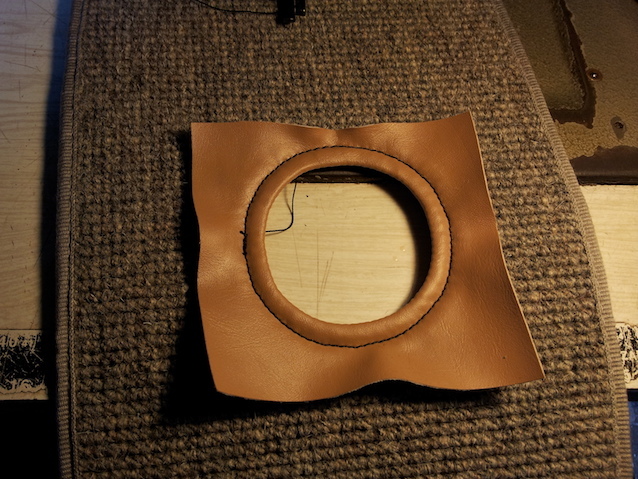 First, cut the hole you require. I’m using some cheap vinyl to illustrate. 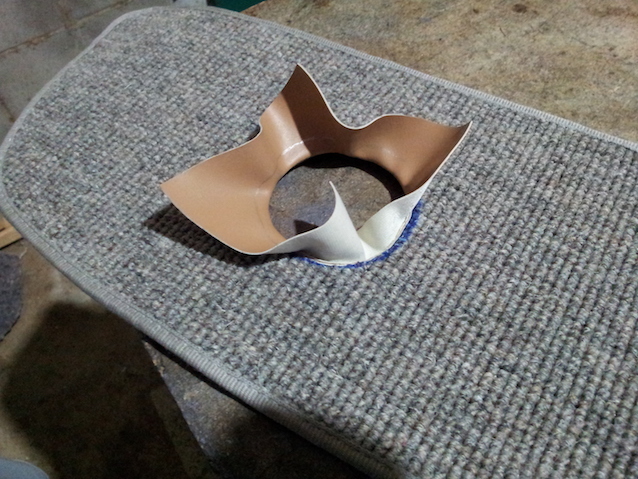 Cut two pieces of vinyl about an inch bigger than the hole, then put vinyl underneath the carpet and trace the hole. Grab the two pieces of vinyl and lay the one that’s marked on top and sew the two pieces together following the line (use a small stitch length). 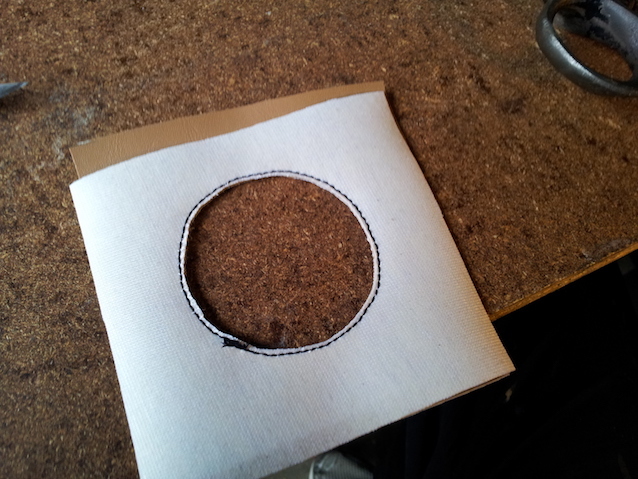 Then cut the inside out very close to the stitches. 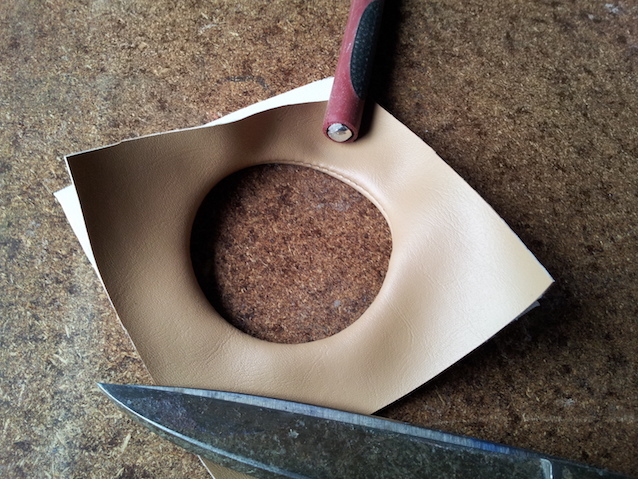 After you cut the hole out, turn it the way it’s meant to be. 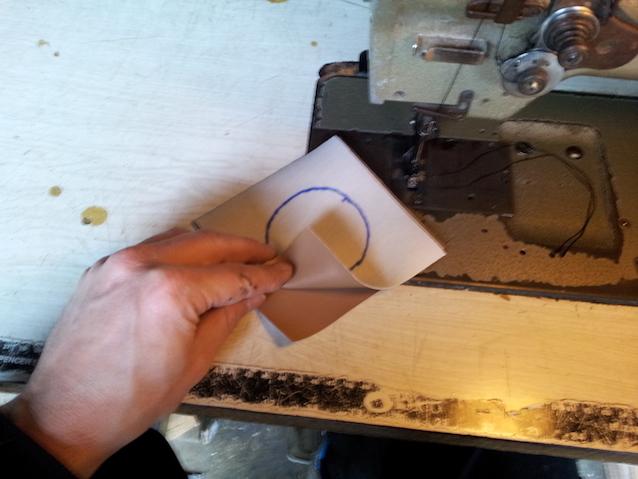 Then mark your circle with a vinyl pen or chinagraph where you’re going to sew. 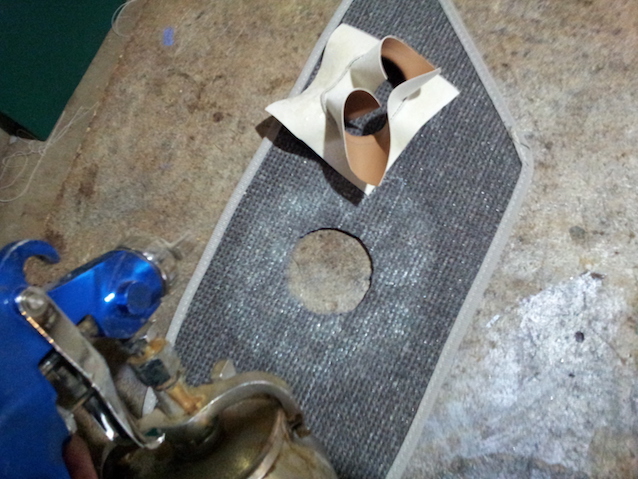 But before you sew, glue one side of the vinyl and the underneath the carpet together. 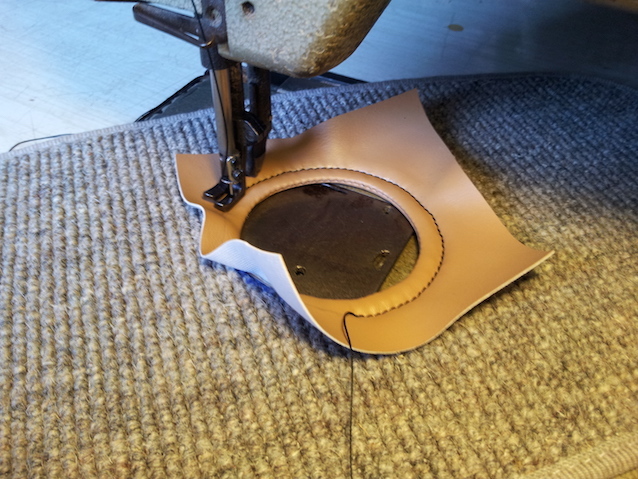 Once you’ve glued the two pieces, making sure that your stitches are virtually touching the carpet so that it’s even all round, turn it over and pull the other side through. Now you’re almost finished. 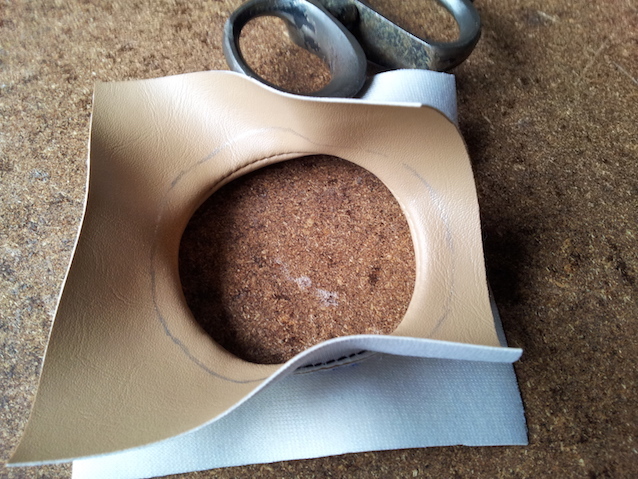 Take it to the sewing machine, make sure you give it tension, start sewing on the line very slowly and carefully once again tensioning as you sew because you want it even all around. 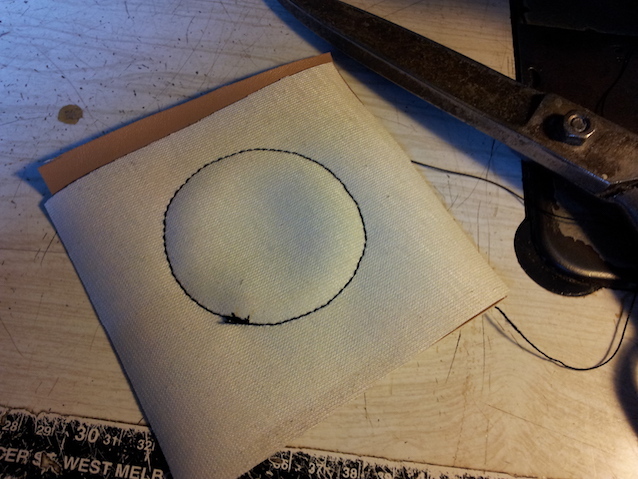 Now trim your excess off very close to the stitches, do this slowly and carefully. To see more of Brent’s work and keep up on his latest projects, follow Brent Parker Motor Trimming on Facebook. Also, check out The Hog Ring‘s “How To” section.